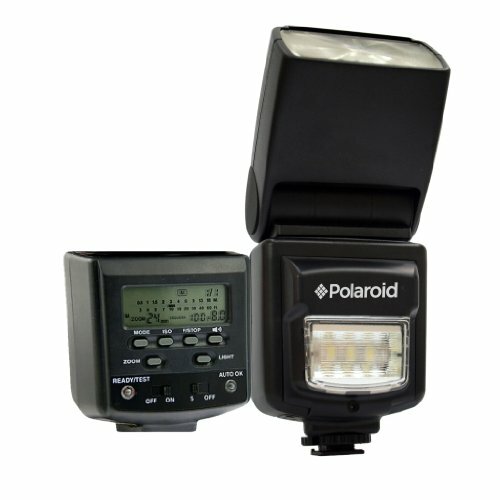 The Polaroid Dua Flash is an economical and innovative full-TTL enabled flash with a built in LED light For Digital SLR Cameras. With photographers currently using their SLR cameras for still pictures and video, this dua flash will eliminate the need to keep on changing between the flash and LED light on the shoe mount. With The Polaroid Dua Flash You Have Both In 1! Save time, and capture the moments as it happens in video or still with this must have Dua Flash. If you're tired of the uneven and often underpowered illumination produced by your camera's built-in flash, yet don't see the need to overspend for the flashes offered by your camera manufacturer, welcome to lighting solutions from Polaroid.